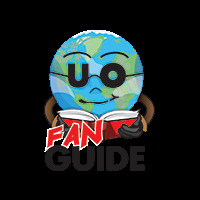 Our free Fan Guides are designed to provide you with in-depth information about Universal Orlando theme parks, events, hotels, dining, and more. Each Fan Guide offers comprehensive details, tips, and images to help your plan your vacation, save money, and make the most of your stay at Universal Orlando Resort. This comprehensive guide to Universal Studios Florida discusses every area, ride, show, restaurant, and shop in the park and offers essential touring tips. This in-depth guide to Islands of Adventure explores every area, ride, show, restaurant, shop, and playground in the park and includes essential touring tips. This comprehensive guide to Universal Orlando's new water theme park Volcano Bay provides an overview of themed areas, attractions, amenities, and tickets. This guide to Universal's Aventura Hotel provides pictures and information about hotel rooms, prices, dining, recreation and more. Learn about staying at Universal's Cabana Bay Beach Resort in Orlando in this complete guide to Cabana Bay rooms, dining, pools, recreation and more. This comprehensive guide to Loews Sapphire Falls Resort in Universal Orlando explores hotel rooms, prices, discounts, dining, pools, recreation, and more. This complete guide to Loews Royal Pacific Resort at Universal Orlando offers essential info about rooms, rates, amenities, dining, pools and more. This in-depth guide to Loews Portofino Bay Resort at Universal Orlando provides detailed info about rooms, rates, amenities, dining, pools, events and more. This in-depth guide to Hard Rock Hotel at Universal Orlando offers essential info about rooms, rates, amenities, dining, bars, pools, special events, and more. See the Leaky Cauldron menu and learn about dining at the Leaky Cauldron in The Wizarding World of Harry Potter - Diagon Alley in Universal Orlando. Learn about the Three Broomsticks menu, pricing, theming and more to prepare for your trip to the Wizarding World of Harry Potter - Hogsmeade in Orlando.